Physicians may soon use artificial intelligence (AI) and medical images to study tumors without a biopsy. The techniques developed to study tumors in this new way are described in the September 1 issue of The Lancet Oncology. Along with helping physicians learn more about tumors without surgery, the new approach should help identify which cancer patients will respond best to cutting-edge immunotherapy treatments. The AI techniques could be useful for “predicting clinical outcomes of patients treated with immunotherapy when validated by further prospective randomized trials,” the authors wrote. Immunotherapy treatments are helping some people survive cancers once considered a death sentence, including mesothelioma. Unfortunately, these therapies don’t work for everyone. The French researchers behind The Lancet study believe using AI to determine the effectiveness of immunotherapy is a welcome addition to the cancer treatment arsenal. An important goal was to predict which tumors respond best to immunotherapy treatments, based only on features that can be discerned from a CT scan. The researchers first used existing cancer databases to collect genomic, cell characteristic and clinical data for 500 patients with solid tumors. Genomics refers to all genes present in the tumor, including non-cancer genes. For example, genomics will find genes from a person’s immune system cells that are fighting to contain the tumor. 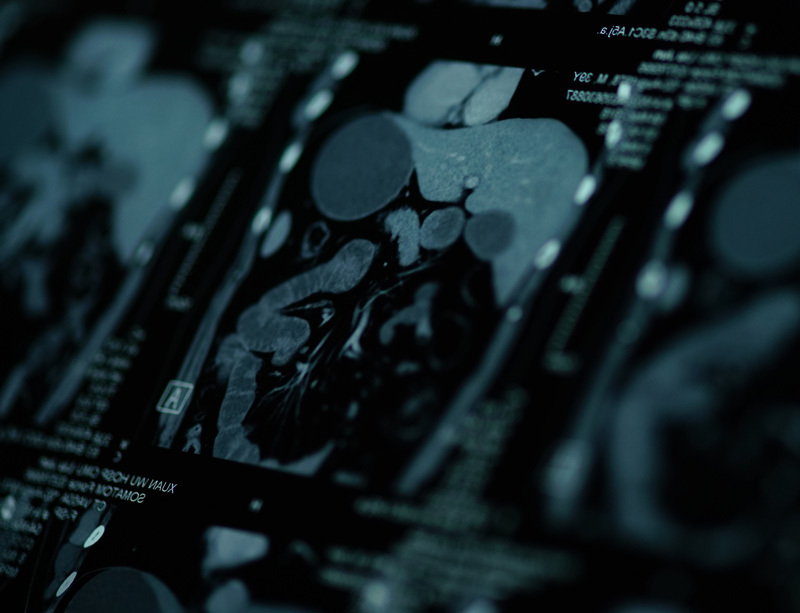 The group wanted to create an AI system that recognizes which CT images indicated the presence — in the tumor — of a specific type of immune cell called a CD8 T-cell. The authors confirmed the system was correctly linking certain features of CT images with tumors that contained high levels of CD8 T-cells. They could do this using the tumor genomics for these 500 patients. Next they applied the AI system to another group of patients. This set of 135 patients had a variety of incurable or metastatic tumors, including lung, liver, breast, colorectal, gynecological, head and neck, kidney, prostate, sarcoma and upper gastrointestinal tract, plus a few very rare tumor types. Mesothelioma patients were not included, but lung cancer patients made up the greatest number of participants. Many mesothelioma treatments have been developed and used in lung cancer patients first. Including a very wide variety of cancers also is helpful for translating results to tumor types that were not part of this study. All 135 patients had provided tumor samples which allowed for an accurate assessment of the presence of CD8 cells using genomics. The researchers worked with the system to “train” it using machine learning. With machine learning, the AI system used the information from the first 500 patient images to determine which of the 135 new patient images also contained CD8 T-cells. In this way, the system learned which CT image characteristics predicted the tumor would contain CD8 cells based on tumor genomics. The AI system was put to the test on 137 patients recently enrolled in five phase I clinical trials of anti-PD-1 and anti-PD-L1 immunotherapy drugs. The system evaluated CT scans taken before treatment started. It made a prediction of which patients would have the best response to the treatment. It accurately predicted patients with the better overall survival based on the score generated by reading the pretreatment CT scans. Clinicaltrials.gov lists dozens of immunotherapy clinical trials for people with mesothelioma. As with other difficult-to-treat cancers, the challenge is figuring out which patients might respond to immunotherapy. Validating the AI approach to ensure it can predict mesothelioma clinical responses to immunotherapy as well as responses for other tumors will be an important next step. The application of AI to mesothelioma treatment may help answer important questions about why some mesothelioma patients will respond to immunotherapy but others will not. Predicting the response to immunotherapy using artificial intelligence. (2018, August 27).